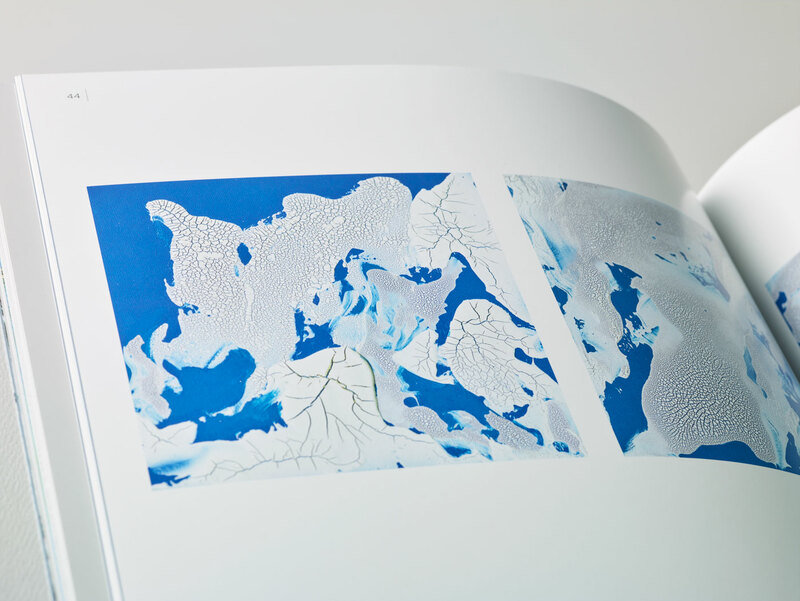 In conjunction with artist Diane Burko’s exhibition, now on view at the Walton Arts Center, Brilliant printed Burko’s new monograph Glacial Shifts, Changing Perspectives. Designed by the inimitable Phil Unetic, Glacial Shifts, Changing Perspectives is filled with spectacular, vibrant, glacial blues. Brilliant created this intensity of color through a unique set of color separations incorporating a special blue touch plate. 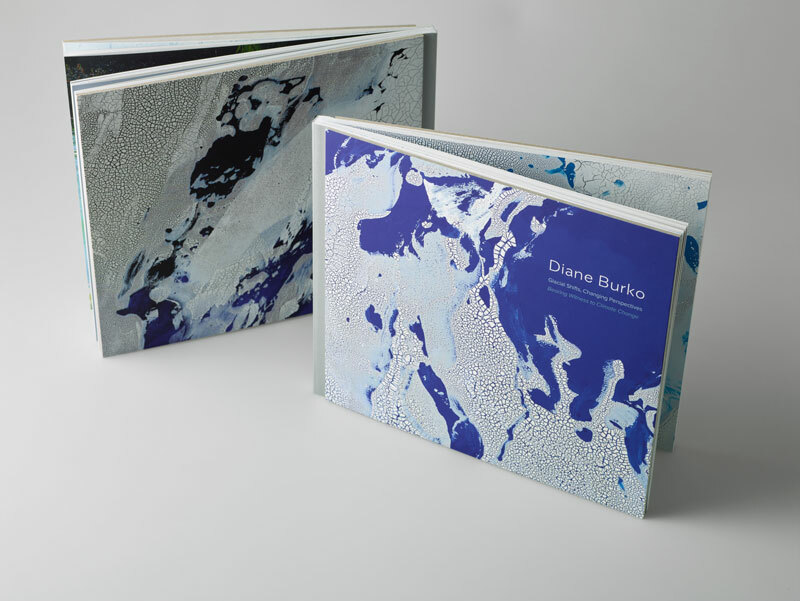 Glacial Shifts, Changing Perspectives also features an “exposed” spine wrap and board covers to give Burko’s important subject a raw, contemporary presentation. Spine wrap in Luminaire Sterling Cloth. Printed cover with matte laminate and exposed board edges. Printed in full color plus 2 PMS spot colors. Text pages printed on 65# Opus Dull Cover. 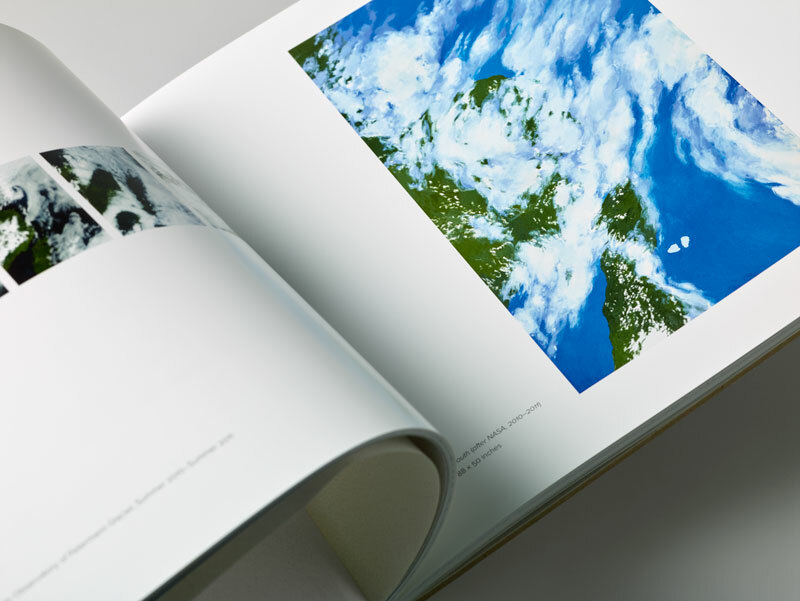 Published by KMW Studio, Glacial Shifts, Changing Perspectives, features the large-scale paintings and photographs Burko created over the past decade documenting the disappearance of glaciers. The book includes an introduction by curator Andrea Packard and an essay by William Fox and Carter Ratcliff. The exhibition at the Walton Arts Center is on view now through September 2017. Glacial Shifts, Changing Perspectives from Brilliant Graphics on Vimeo. Diane Burko has placed herself at the intersection of science and art, imparting imaginative and emotional dimensions to the statistics on climate change. Since the 1970s Burko’s work has evolved from photographing and painting monumental landscapes to documenting glacial recession, using the power of art to capture its reality. 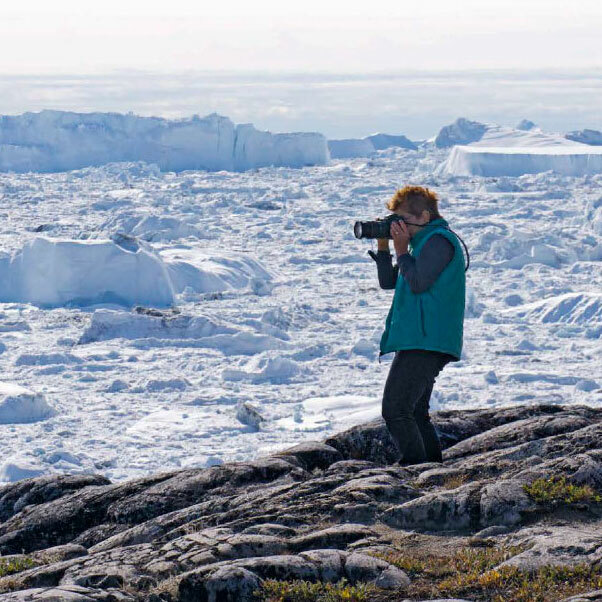 Joining expeditions in Svalbard, Norway, Argentina, Greenland, and Antarctica, she has seen firsthand the rapid transformation of landscapes essential to life on earth. Her creative response, represented in Glacial Shifts, Changing Perspectives, compels us to take notice and take action.